If someone had told me 17 months ago that I would be invited to visit the Yves Saint Laurent Museum twice, tour the Coco Chanel Suite in the Ritz, or indulge in tea for two at the Ritz Paris…I would have laughed. But today, I pinch myself. Since embarking on a career as a travel writer, I get to enjoy all those perks and more. 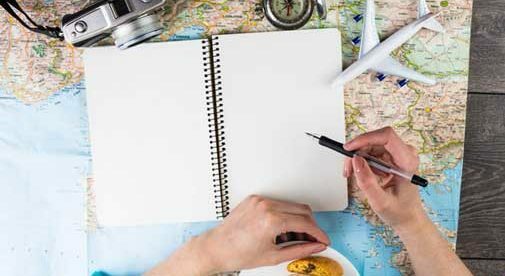 While I’ve always traveled, I never thought of writing about my experiences. All that changed after the death of my youngest son almost three years ago. A year after his death, I decided to retire early. While working through my grief, someone asked me what I wanted to do with my future. Without hesitation I blurted out, “I’d like to be a travel writer.” Until I heard those words come out of my mouth, it wasn’t a conscious thought… My epiphany has changed my life. Now, I can say I’m a published travel writer with articles in a variety of print and online publications. The extra income is nice but the flexibility and perks have me hooked. The ability to work anywhere there is WiFi and create a schedule that is “marriage friendly” is fantastic. Since I’m not tied to a nine-to-five job, I’m able to jump at intriguing opportunities that come my way. My first visit to the Yves Saint Laurent Musée during its launch was a dream come true. If I had a conventional job, the opportunity would not have come my way. When I was invited to return for the rotation of exhibits a few months later, there was no hesitation. The time was available and I was thrilled to write another piece on the new and exciting museum. My husband’s vacation days allowed him to accompany me to Paris, where we shared once-in-a-lifetime moments. In Paris, we jumped on the train and three-and-a-half hours later we stepped off in Montpellier, in the South of France, for an enjoyable four-night stay. None of this would have been possible on a regular vacation. Travel writing has opened unimaginable doors which continue to open. Impromptu drinks with a real-life lord while in Marseillan… Who would have imagined? My husband plans to retire early too, and the expat life is on our radar. The plan right now is to divide our time between Mexico and Europe. I’ll be combining travel writing with scouting retirement locations. In a few months, we’re heading to San Miguel de Allende. I’ve already started lining up assignments, which will enhance our trip and stretch the budget. It’s a win-win. Travel writing has changed the way I view the world; there are so many stories to be told—and photos to be taken. My husband enjoys photography, but the only time his camera sees the light of day is on vacation. With retirement ahead and the willingness to invest quality time with his camera, I can see a new “career” down the road for him too. Almost three years ago, I couldn’t imagine a future. In the past 17 months I can honestly say the future looks bright. I know my son would be very proud of me.